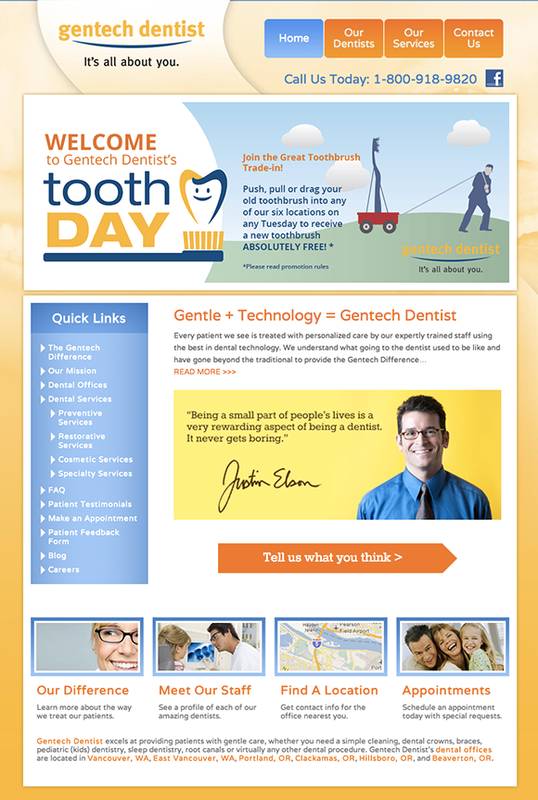 I built a custom WordPress website for Gentech Dentist. They're one of my hosting customers, and I've maintained their website for several years now. I've also worked with them to improve SEO ranking, and created several custom forms for patient booking, input, etc.